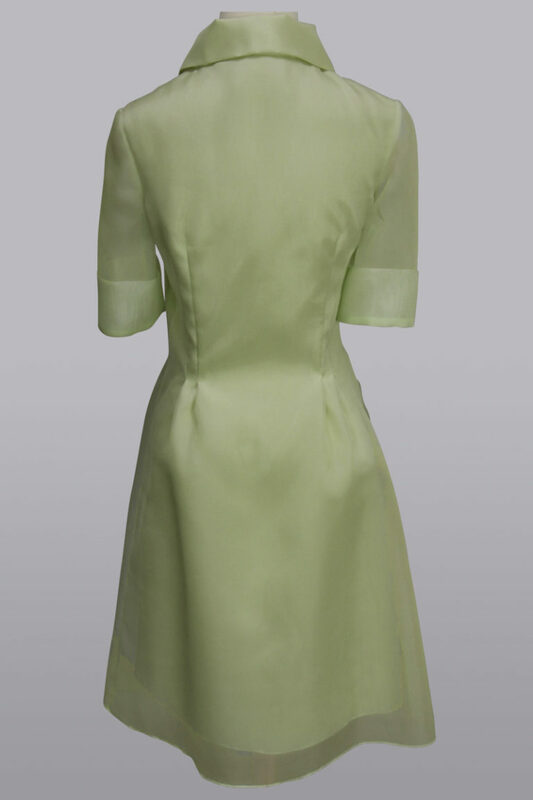 This elegant shirt-dress in silk organza is shaped through the waist and then flares at the hips. 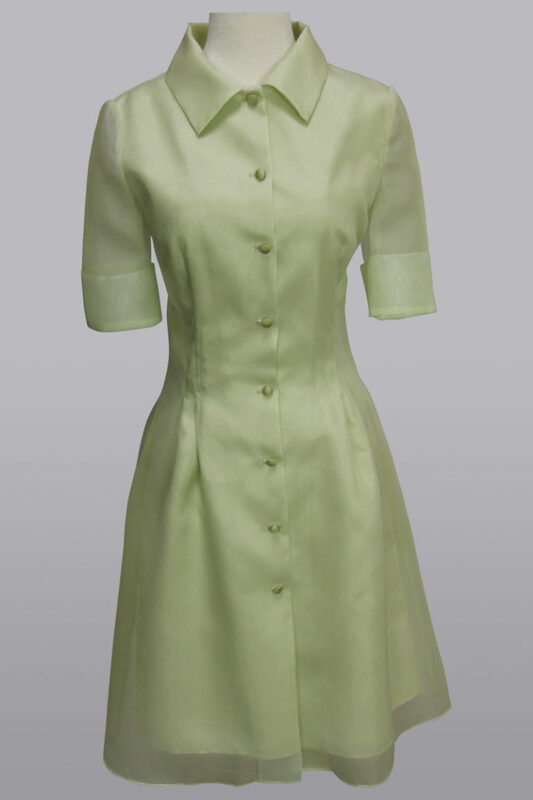 Crisp, cuffed short sleeves with covered buttons down the front closure. Double lined.